Maine mussels are losing their muscle. The state's blue mussels are beloved by seafood fans near and far, but the size of the annual harvest has dipped in recent years, bottoming out at a 40-year low in 2016. Harvesters collected less than 1.8 million pounds (816474.64 kilograms) of mussel meat in 2016, the lowest total since 1976. That year also marked the first time the state's mussel harvesters topped a million pounds. They have exceeded 6 million pounds (2.72 million kilograms) three times in the 1980s and 1990s, and routinely topped 3 million pounds (1.36 million kilograms) until ten years ago. 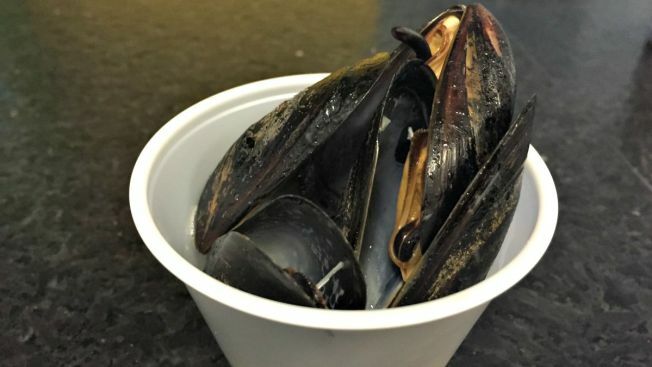 Meanwhile, some harvesters have stopped bringing mussels ashore altogether because there simply aren't as many to be had, said Carter Newell, a marine biologist and founder of Pemaquid Mussel Farms along the Maine coast. "Some areas like Casco Bay, you just don't see many mussels at all" he said. "There's sort of a general lack of real large population recruitment going on." Other factors that could be impacting the mussels' decline include the changing chemistry of the ocean to become more acidic, the growing population of invasive green crabs that eat shellfish, warming waters and the impact of human harvesting on the population, said Susie Arnold, a marine scientist with the Island Institute in Rockland, Maine. "Any shellfish that's habitat is the seafloor, it creates habitat and structure for other important marine organisms," Arnold said. "And mussels filter the water and improve water quality and clarity." "There's a good demand for it and it's a very quality product," he said.